Deborah lives in Orange County, California and often writes about the lifestyle and places of interest in Southern California. As a resident of Southern California, I love the almost unlimited number of cheap and free activities which are available virtually all the time. If you are willing to spend money on a tank of gas or bus fare, you can find plenty of fun activities which do not require an admission fee or cover charge. At some locations, you may need to pay to park or you may wish to enjoy a relaxed lunch or ice cream cone. However, other than these nominal costs, all the attractions mentioned in this article are free to do in Southern California. For example, many of the museums have free days and you will want to call them to see when they will be having their next free event. My personal favorites are the two fabulous Getty Museums which have no admission fee, ever, although they do charge $15 for parking. However, considering that you can take a carload of people to the museums for that price, it is quite a bargain. In addition, if you take a bus to the museums, you pay nothing more than your bus fare. The Getty Museum in Malibu, along the Pacific Coast Highway, is an easy bus ride from a number of hotels strung along the coast from Santa Monica to Malibu. The Getty which is off the 405 freeway north of downtown Los Angeles not only has an incredible art collection but also boasts a commanding view of the entire Los Angeles Valley. Both museums are quite different and well worth your time. Keep reading to see some of the favorite choices of our friends and family. Some of the most famous beaches in the world are located in Southern California. Each one has its own style and appeal. Many of them are frequently featured in movies and on television shows. One of the favorite ways our family loves to spend time is to go to a beach and spend the day. Some of the beaches have fire pits and allow you to build bonfires. Others do not allow fires, but they have wide open spaces for sunbathing and paved walkways where you can take a stroll. 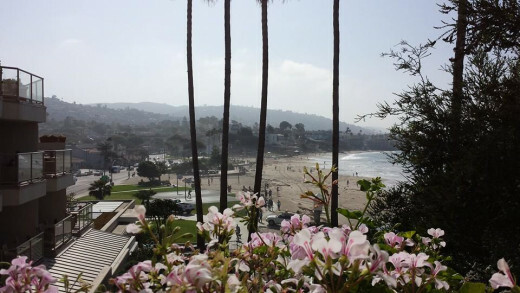 Laguna Beach - This charming small town has over 100 art galleries and a wide variety of restaurants and casual eateries. You can take a stroll at Main Beach on the boardwalk while your kids play on the playground. Then, take your children to the tidepools at the north end of the beach, where they can spend hours looking at the small sea creatures which sometimes get trapped there. At the south end of the beach, go surfing. Paddleboarding and scuba diving are also popular activities in this town. Newport Beach - The Balboa Peninsula has wide open beaches as well as a sidewalk which goes the length of the peninsula. It's a great place for a long walk. There is also a playground on the beach, behind the elementary school. The playground is open to the public whenever the school is not using it. Huntington Beach - This is the famous Surf City which the Beach Brothers sang about. There are fabulous beaches along the shore, firepits, and a spacious dog park. Venice Beach - This artistic town has canals which run through it. It is a delightful community for anyone who wants to spend a romantic afternoon in a unique Southern California neighborhood. You can even schedule a gondola ride, although they can be expensive. Santa Monica - This beach town is frequently shown on television and in movies. Whenever you see people rollerblading along a walkway with the ocean in the background, there is a good chance that the scene was filmed in Santa Monica. Santa Monica also has a wonderful pier with a Ferris Wheel and lots of fun carnival activities. San Diego County, Ventura County and Santa Barbara County all have their own beautiful beaches, too. Wherever you are planning to spend time in Southern California, plan to include a little time at a beach. They are free, accessible and are often surrounded by interesting restaurants and activities. We love to just take a drive along the Pacific Coast Highway and stop at a Starbucks or an ice cream shop. To us, this is a great way to spend the day. You may want to make sure you have a travel guide with you when you come. If you are a member of the AAA Automobile Club, you can stop by your local office and ask for a free travel guide to California, as well as any other location in the United States. Not only can you get the guide for free, but it will have lots of money-saving ideas to help you enjoy your trip. It's also easy to order information online from Amazon.com. The travel guides on their site are updated frequently, so contact information and pricing data should be up-to-date. Below the guide below, you'll see my list of my favorite places to shop around Los Angeles and Orange County. Balboa Island in Newport Beach - You can stroll entirely around this charming island in about an hour. While there are a wide variety of restaurants on the island, our favorite place to stop is for a chocolate dipped banana at one of the two banana stands on the main thoroughfare. Both of them claim to be the "first" frozen banana stand, even though they are not connected to each other! Fashion Island in Newport Beach - This open air shopping center is one of the few places where you can shop in upscale stores while looking out at the ocean. The escalator ride from the shops to the parking lot on the ocean side of the mall is spectacular. Even some of the most casual restaurants have ocean views. Rodeo Drive near Beverly Hills - The expensive stores on this boulevard have been featured in many movies, most notably "Pretty Woman." However, there are some shops there with moderate prices. For example, from time to time there has been a Gap Store and a Forever 21 store on the street. The more casual stores change from time to time, but because of the proximity to UCLA, some of the stores on Rodeo Drive are not as difficult to afford as you may think. You will want to walk past the more expensive stores and do a little window shopping, of course. Third Street in Santa Monica - This street is blocked off and is a fabulous place for people watching. Whether you are sitting in a sidewalk cafe or strolling along the street, it is delightful to watch clowns juggle and bands perform. It is the perfect location to get a real California experience. 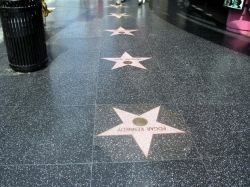 Hollywood Walk of Fame - Don't forget to take the time to see the stars embedded in the sidewalk in Hollywood. It is fun to find the stars of your favorite stars, and new ones are added all the time. You can also see some of the famous Hollywood landmarks. Downtown Disney - If you can't afford to go into the Disney Theme Parks (and they are quite expensive), you can always spend an afternoon at Downtown Disney. This area is located between the Magic Kingdom and California Adventure, the two theme parks at Disneyland. However, this little business district is open to the public for just the cost of parking in their lot ... and the restaurants will validate your parking ticket. There is a movie theater, several shops and restaurants. There are often little shows going on, such as a bird show or a musical performance. One of our favorite places to go is the Rainforest Cafe, which our grandchildren love. After a couple of hours in Downtown Disney, we have nearly always satisfied our need to spend time in Disneyland. All of the communities mentioned above also have fun places to take a stroll. The Los Angeles roads can be confusing and, even if you have a GPS, you may want to have a general idea where things are in relationship to each other. Picking up a map before your trip could save you a lot of frustration. If Disneyland is on your list of things to do, make sure you get a good Disney guide, too. Below you will find information on popular shopping areas and even more things you may want to do during your visit to Southern California! Do you have any favorite memories of Los Angeles? Now that we are in southern California, we need to visit each and everyone of the beaches you mention. I had to stop in and say hello. It's been a long time. I hope all is well in your world. 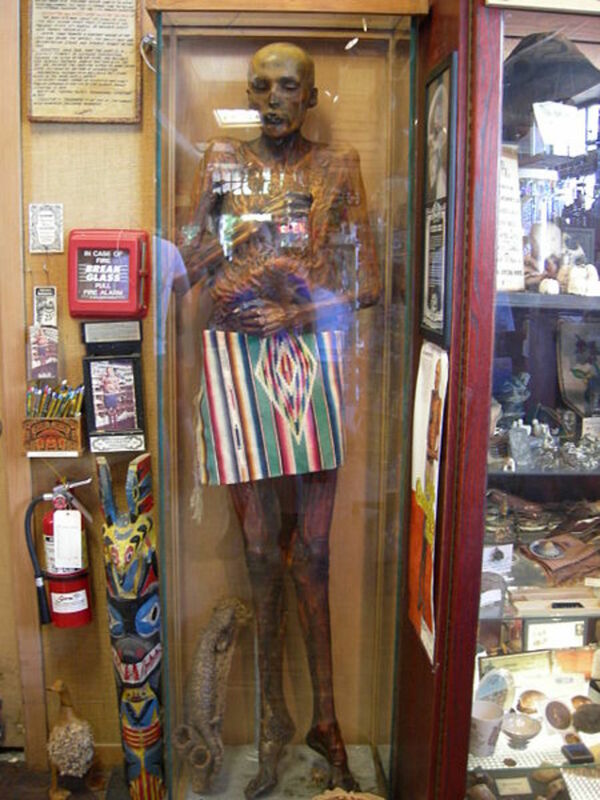 What a nice list you have of things to do in Southern California! I've been there, but I see interesting things I didn't now about when I was there. Really very good of you to make a list like this because living there you know what's worth doing and seeing. I like those souvenir LA cups near the bottom of the page, too. I think getting souvenirs online can save space on a trip because you don't have to pack things into an already overstuffed suitcase or car. I did a lot of traveling here in the states with my second husband several years ago and one thing I remember is people from other places (both other states than the one we were in as well as other countries) ordering certain souvenir merchandise to be shipped straight from the stores we were in, back home to wherever. A clerk was following them around with a notepad taking down the items they wanted sent. Vacation season is underway and California is a good destination if someone hasn't been there (and even if they have). Voted up and useful and sharing with followers. Thanks, catravel. Many people only know about the obvious places to visit in California, or they have heard that everything is expensive. There are plenty of things to do here on a budget! Even people who live in Southern California will enjoy this list of fun, free things they can do! Yes, sushi in one of the shops in little Tokyo. This was about 30 years or so ago. I'm sure it would be a lot different today. @WriterJanis2: I think most people who come here want to make sure they go to Disneyland. However, I wanted to give people some other options, too, that would not cost a lot of money! I visit southern CA every year. My favorite place is Disneyland. @anonymous: I hope you do get to travel to California one day. It is a really diverse state with everything from mountains to beaches, big cities to tiny towns. There's something here for everyone! I'd add Corona Del Mar to the list of beaches. For LA and Orange County, I love Griffith Park, and many mountain areas such as in the San Gabriel Mountains, the Santa Ana Mountains, etc. Mostly I love nature, hiking, and the beach and tide pool areas. Never been to California. North, South, East or West. Great travel tips though! Especially the one about buying souvenirs online. Good to know. @TanoCalvenoa: These are excellent suggestions. While I prefer the Balboa Peninsula to Big Corona, I know that many people enjoy Corona more. Your other suggestions are great for people who want to explore nature during their visit. Thanks for your helpful comments! @poutine: I hope you do get to visit Southern California one of these days. There are plenty of fun things to do here! Unfortunately, I never had the chance to visit SC.